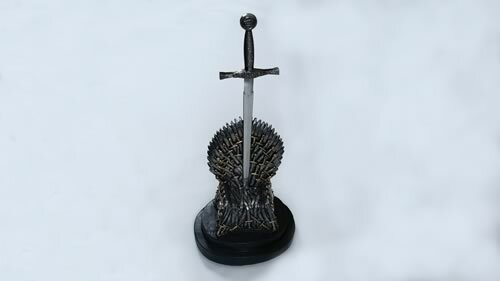 This Horse King sword truly is a must for any collection. It has a wooden and leather handle with brass fittings. A 440 stainless steel blade. It is full size at 34". It comes with a beautiful wooden plaque. The Horse King sword measures in at 34 inches in length (86.3cm) with a lifelike weight of 1.7KG (3.75 Pounds). The Horse King Sword arrives with a custom made real black leather sheath to fit over the swords blade to protect it and a wooden veneered bracket to mount the sword onto the wall (shown later in the review). The handle of the sword arrives wrapped in bubble wrap, removing the bubble wrap you can see the rich purple colored leather finished handle. The whole sword has a full metal construction with the blade being a full-tang design to ensure its strength. 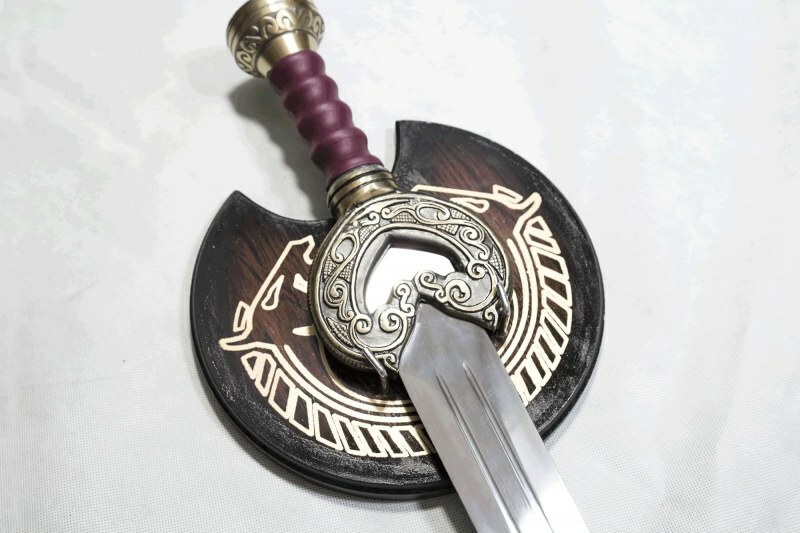 The sword features a what seams to be a solid brass handle and pommel (the chunk of metal under where the sword is held) finished with a brushed weathered look to the creases and edges of the whole handles design. The handle is wrapped in a single piece of leather stitched together on 1 side molded with a finger fit grip. A wooden wall mount is supplied with the Horse King sword, making it easy for you to mount onto the wall to proudly show off to your guests. Recently purchased this item along with most of the other Lo ..